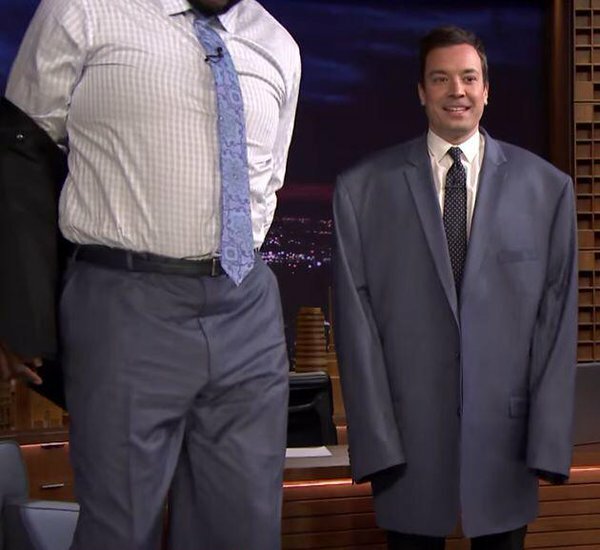 Jimmy Fallon Tries On Shaquille O'Neal's Clothes. This Is What Really Short Men Go Through. No. This only happens when short men buy extra large clothing for no reason. Fallon only did this for a gag.